You are cordially invited to the Anniversary Party of Edem Club on Friday 9th of September 2017. 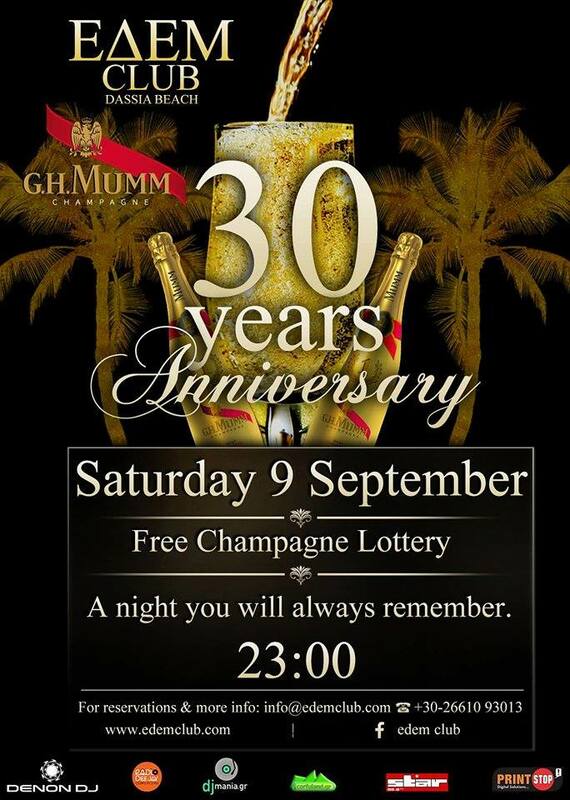 We are celebrating 30 years and we would like you and your friends to join us for this unique occasion in the history of our club at a party you will always remember. Experience an unforgettable night with drinks, rich program and DJs in a magical setting. Throughout the night, a variety of finger food will be served.